As a semi-intoxicated reader of most of John McPhee’s 32 books, I launched into these eight mesmerizing essays on the art (and work) of writing as soon as they were published late last year. 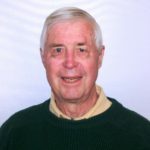 McPhee, a Princeton graduate (1953), a lecturer and writing advisor at the University, and a long-time contributor to The New Yorker, dissects the challenging process of converting ideas to understandable prose with erudition, clarity, and, above all, good humor. “Young writers find out what kinds of writers they are by experiment … Put words to paper as frequently as you can. Keep thinking. Finally, “the essence of the process is revision.” Hence at least draft #4! One suggestion hit me personally: “The title is an integral part of writing, and one of the most important parts, and ought not to be written by anyone but the writer of what follows the title.” All three of the books I’ve written began with a title in mind. But the title of one of my books, Mumpsimus Revisited, was so confusing to a possible publisher that I had to self-publish that one. It referred to the importance of being able to change your mind when you should. It came from a European story of a medieval monk who used the word “mumpsimus” in his reading of the Eucharist, rather than the correct “sumpsimus.” He refused to change. My book began with an acknowledgement that, when I found myself in error, I quickly made the correction! But I refused to alter my title! McPhee gives us an entertaining, thoroughly enjoyable, and knowledgeable guide to not only writing but also everything we read. Try it … and keep writing! Editor’s Note: ‘Draft No. 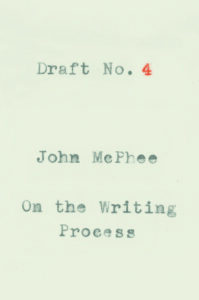 4: On the Writing Process’ by John McPhee was published by Farrar, Straus and Giroux, New York, 2017.